Escape to this well-appointed oceanside home in Hatteras Village for an unforgettable family vacation. 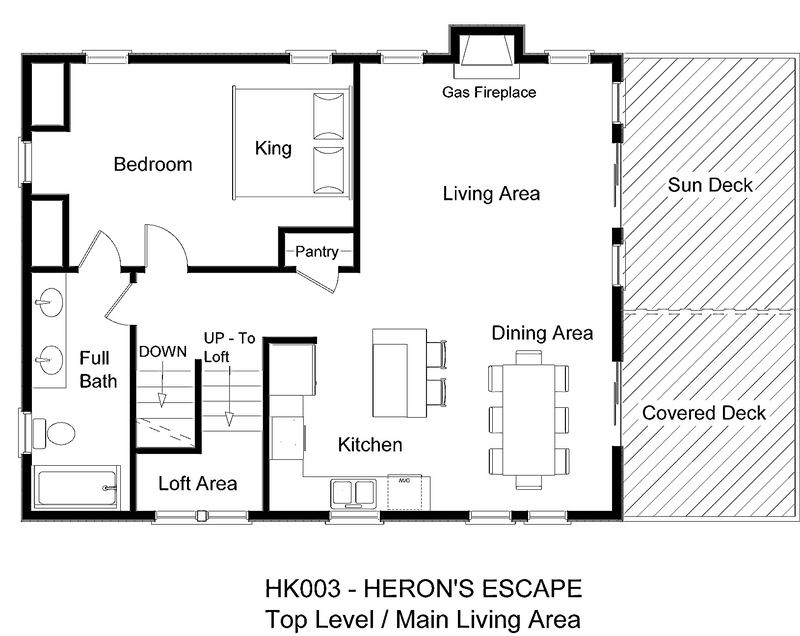 With TVs in every bedroom and ample gathering space, Heron’s Escape offers both personal privacy and time together. Covered parking and dry entry on the ground level make move-in a breeze. Enter through the game room with foosball table and TV. The wet bar with under-counter ice maker and full-size refrigerator will keep your pool treats cool and beach cooler fully stocked and ready to go at a moment’s notice. A full bathroom is also on this level. Sleep tight in the three bedrooms on the middle level. 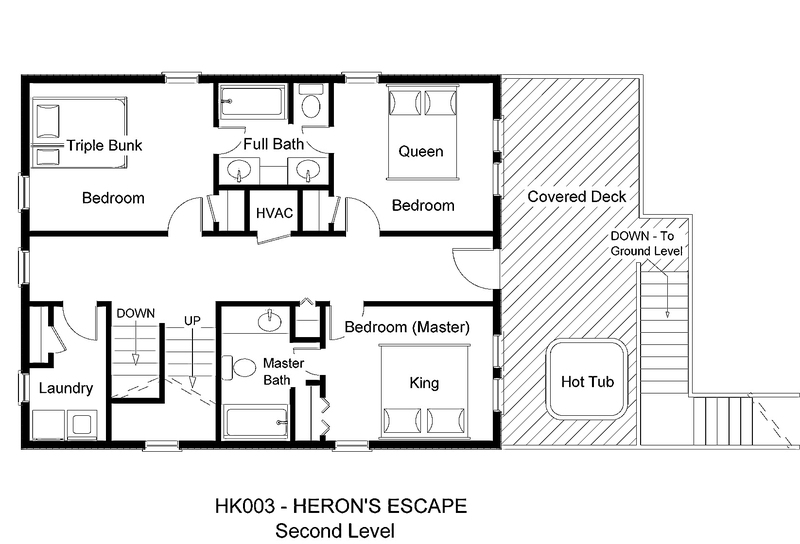 The king master bedroom and a queen bedroom are adjacent to the door to the shaded hot tub deck, where you can soak your cares away while taking in distant ocean views. The queen bedroom shares a Jack-and-Jill bath with a pyramid bunk bedroom. The convenient laundry room is also on this level. Quality family time and ocean views are yours to cherish in the open living, dining, and kitchen area with breakfast bar on the top floor. Curl up in front of the fireplace on cool off-season evenings or watch the sunrise over the ocean from the partially shaded front deck, the perfect perch for an oceanview picnic. Get into a good book in the cozy loft area with TV, or rest easy in the large king bedroom with semi-private full bathroom. Take a dip in the private pool with available heat and lounge under the pergola with a cool drink. A short stroll to the sand path through the dunes at the end of the street will have your toes in the sand in no time at all. The best of Hatteras Village is practically at your fingertips from this comfortable home. Enjoy charter fishing from one of several walking-distance marinas. The Graveyard of the Atlantic Museum and the free ferry to Ocracoke are also close at hand. Shopping, dining, and more are an easy bike ride, golf cart cruise, drive, or walk away as well, so there is plenty to keep the whole family entertained. 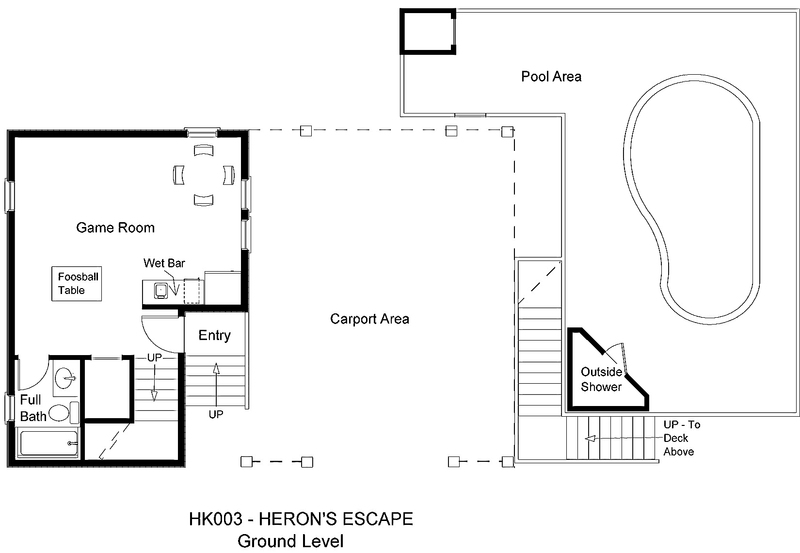 Heron’s Escape is the spot you seek for the vacation of a lifetime. How many feet from the beach is this rental? Is it a clear path to the beach? This house is 3 lots back and has a clear path to the beach. You can get a better view if you click on the map at the bottom of the page and select the satellite view. For the 2018 season, this home does not provide a linens package. Thanks for the awesome stay! Perfect home! Lots of care went into this home.